A little while ago I was contacted by Mushrooms Canada to come up with a recipe using mushrooms for their upcoming Mushroom Masters contest – a little friendly food competition where each week this month 3 food bloggers battle it out with their own unique recipes. 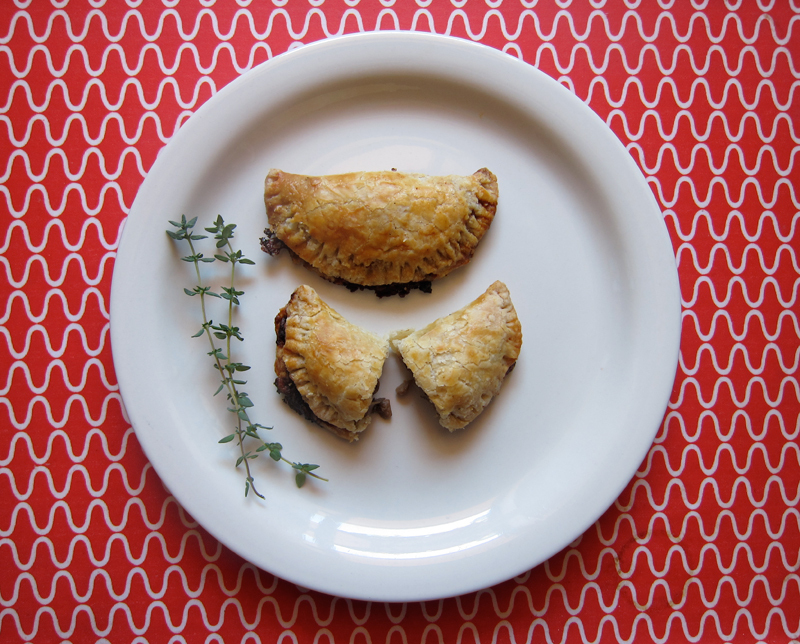 I was picked for the button mushroom round and came up with these tasty mushroom empanadas. The mushrooms are sauteed with garlic, fresh herbs and a splash of wine and cream and then wrapped in a beautiful and flaky whole wheat pastry. 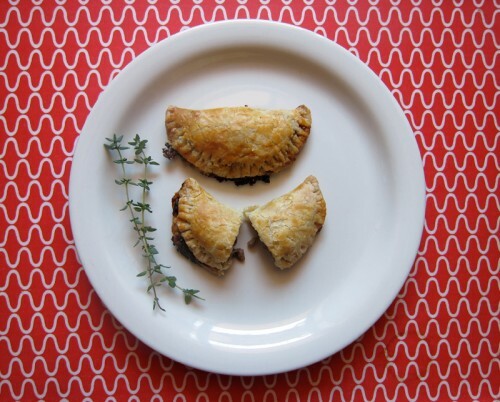 You can find the recipe over at the Mushrooms Canada Blog and you can vote for my little pocket pastry empanada to win over at Tastespotting. Voting closes soon, so please go and vote today! I’d really appreciate it. Thanks!! In the spirit of full disclosure, I was paid a fee for my recipe and photos. « how to make a really awesome chicken dinner for a rainy day. I voted for you; your recipe does look the best. Good luck! An easy choice in terms of the voting. Your recipe looks like a winner! Fabulous! Going to vote now. With an Argentina husband, empanadas are very important in our family – look forward to trying yours. Good luck! These truly sound delicious. I’m recently beginning to be obsessed with empanadas…what perfect timing! I’m off to vote for you! Foodie Berlin, yes, much like a cornish pastry. Little pockets of loveliness! Thanks radioactivegan & Julie, I appreciate the vote! Jen, these were very delicious – don’t know how traditional they are, but super tasty regardless! Thanks. Joanne, it’s the pastry for these that is truly special. I’ll use it again as a standard pie dough since it was so easy and awesome. Thanks! I think your subs would be great, thanks Jessie! Must make these! There’s a bagel shop near work and on occasion when my brown bag lunch isn’t quite cutting it, I skip down to ‘What a Bagel’ and get a cheese and mushroom burek, a flaky pastry hand pie. Oh, bliss! Yes, I most certainly must make these soon! Yum! Its moments like these I wish I could eat wheat! I miss pastry SO much and those look delish! Wonderful. Congratulations! I love mushrooms, but I love mushroom empanadas even more. Yum! Michele, I’m sure there are plenty of great gluten-free crusts: check out gluten-free girl! I’ve always wanted to make my own empanadas and, of course, I’m a sucker for anything with mushrooms. These look delicious! Not specifically related to this post, but I wanted to let you know that I love your blog. Especially love your veggie plates! Thanks Sues, they are very much delicious & got eaten up quickly. Thanks Payal, I love to hear that! Oh my, I could happily eat a plate of those for dinner!